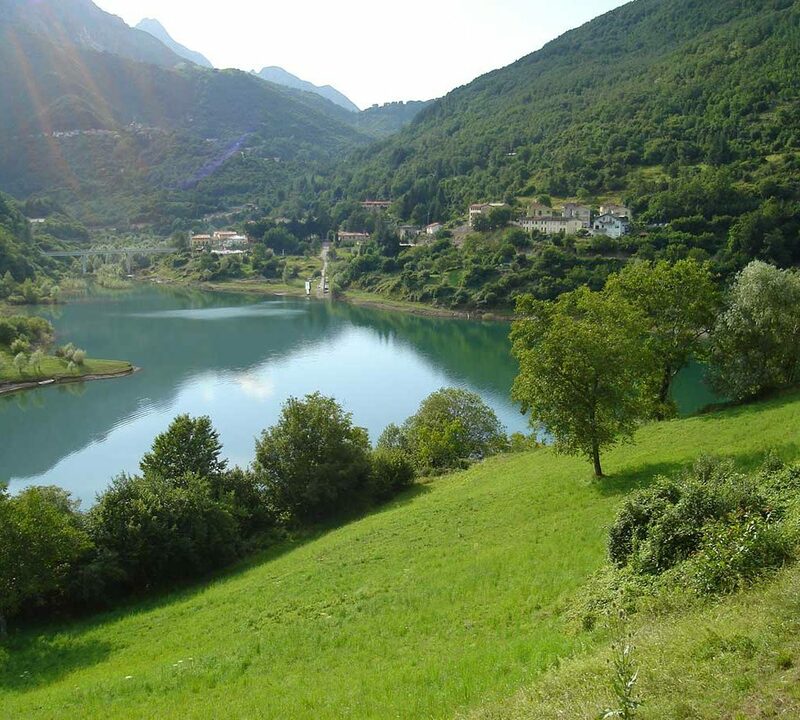 The Vagli lake, wonderful location of our park, contains around 35 millions cu.m. 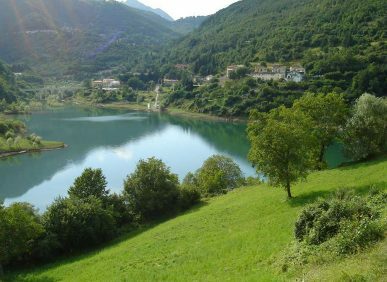 of water and was artificially created. 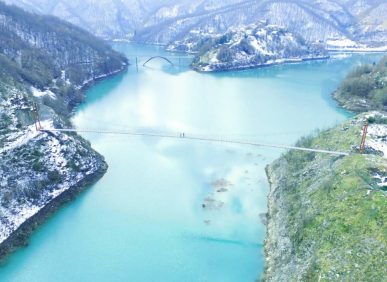 In fact, it was born as a consequence of the construction of a running dike on the stream Edron and that of a dike for hydroelectric purposes, started in 1941. 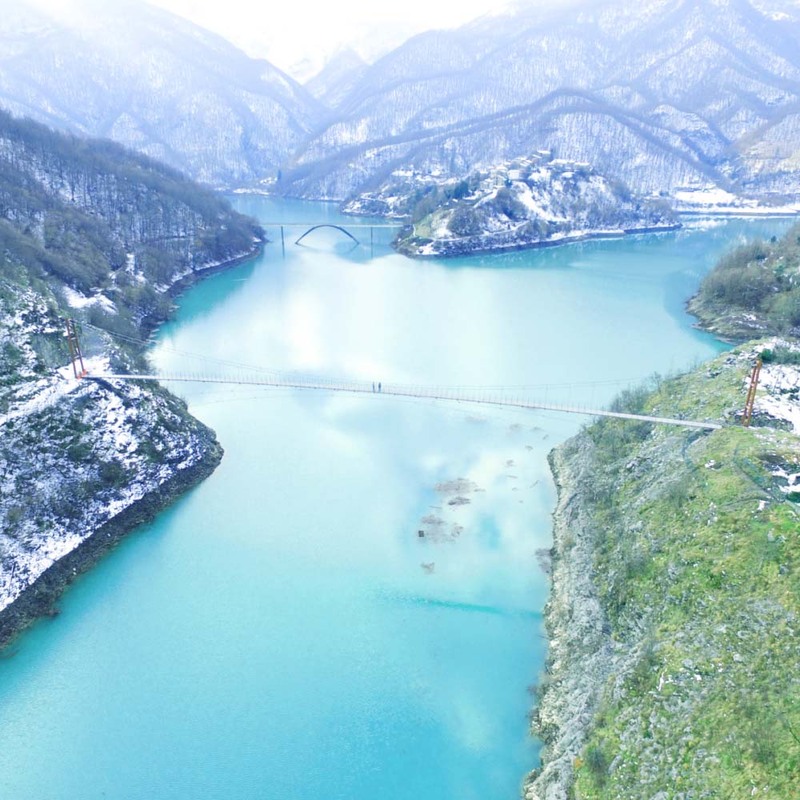 The construction was suspended due to the war, and was eventually completed in 1947, when the dike reached e height of 65 mt first, and finally 95 mt. 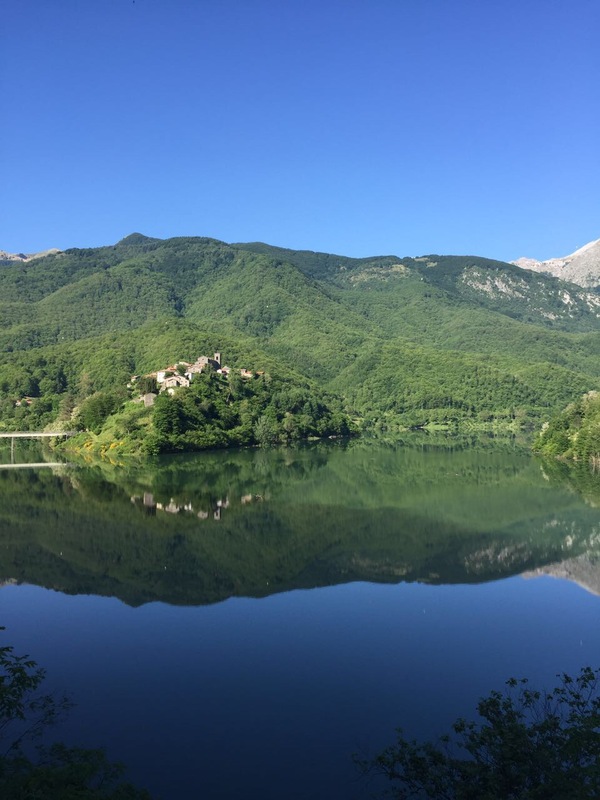 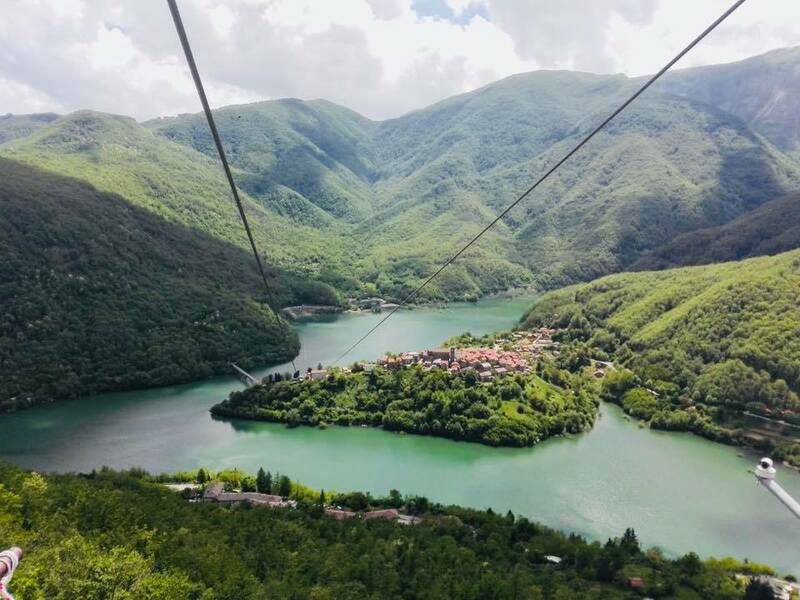 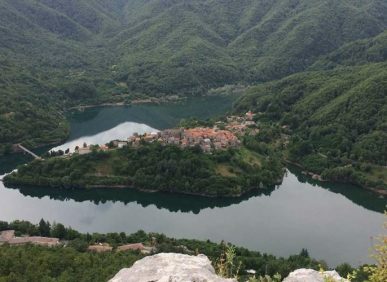 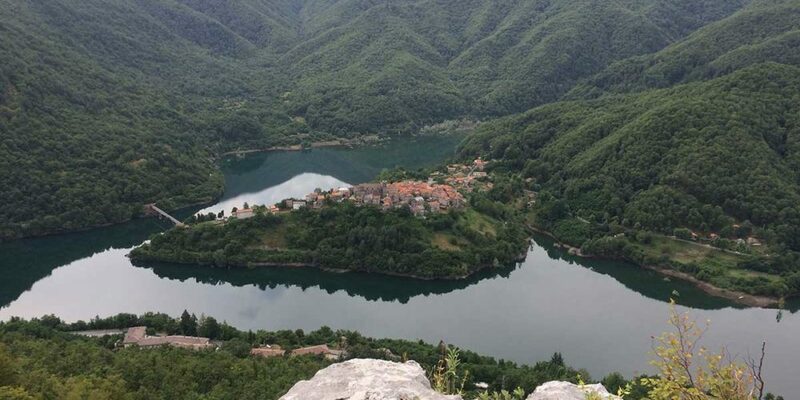 With the increase of the water level, the lake ended up hiding completely the villages of Pantano, Piari and Fabbriche di Careggine, and dwellers had to leave their houses for good. 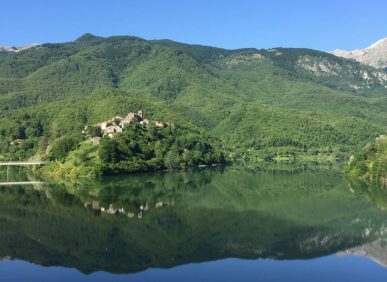 For maintenance reasons, the lake is periodically drained, and the ruins of Fabbriche di Careggine, the ghost town built in 1270 during the Middle Ages, re-emerge. 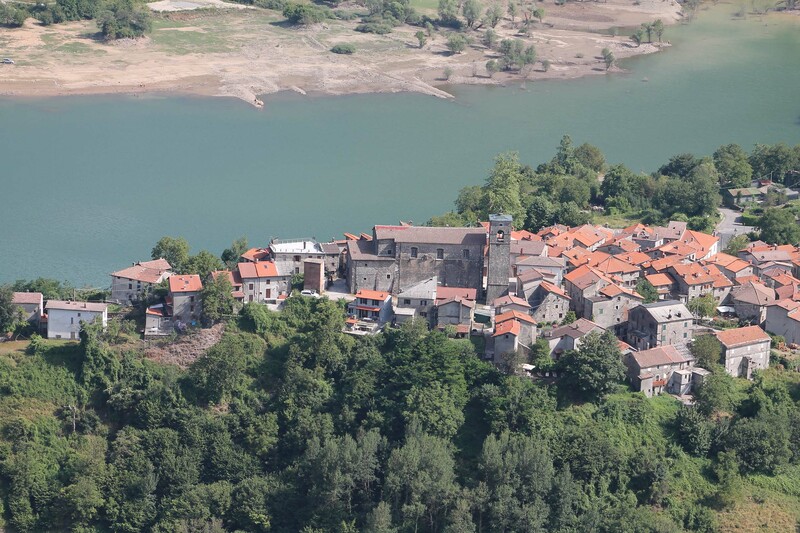 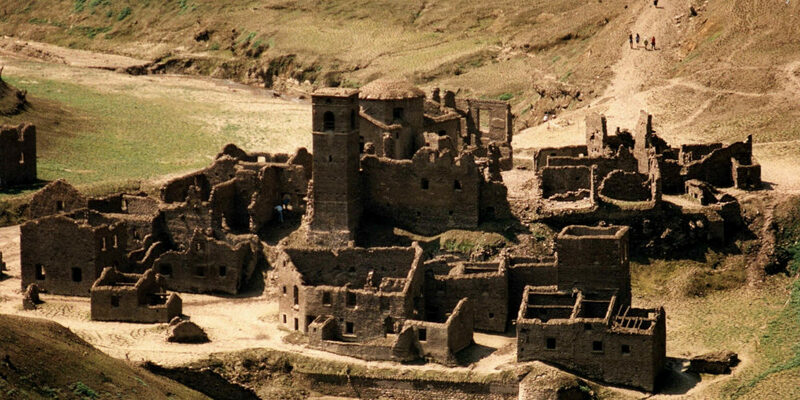 The town was populated by a community of blacksmiths from Brescia once, who would use the iron of Mount Tambura. 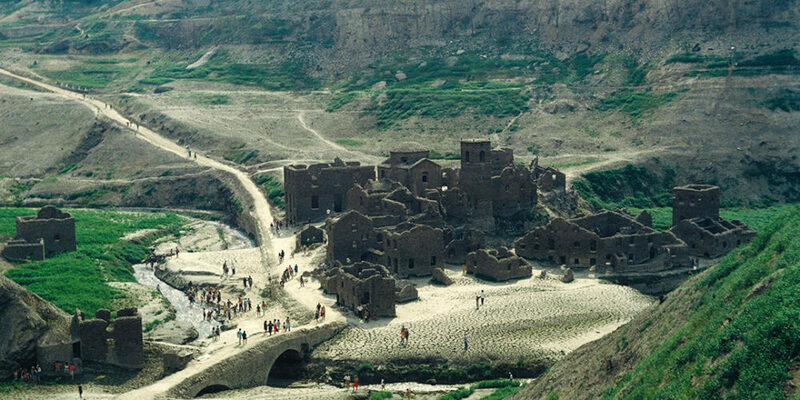 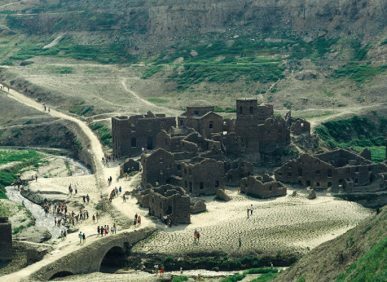 They say that when the lake is drained and the town re-emerges, its old dwellers come back to their houses. 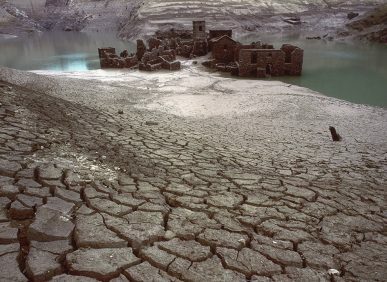 The lake was last drained in 1994.